Guaranteed quality parts and labour. 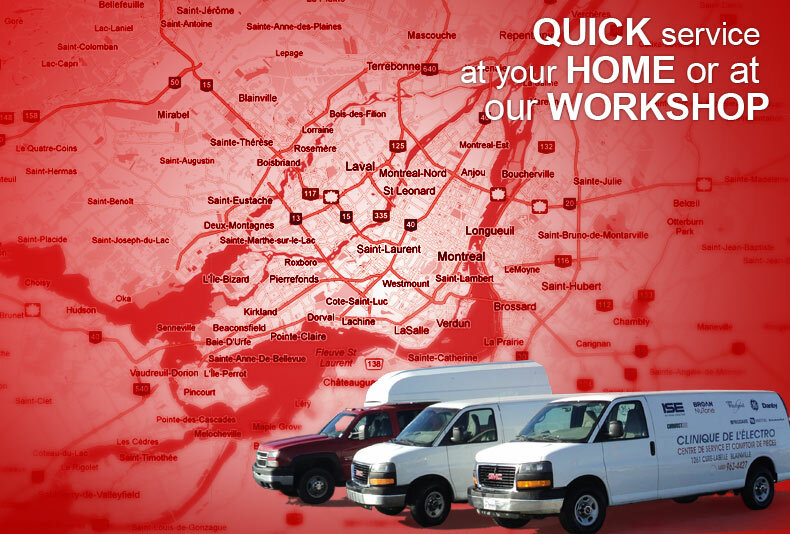 Fast and effective domestic repair services (With our 4 trucks). We are at your service since 1992..
Clinique de l’électro offers on site repair of your defective appliances. 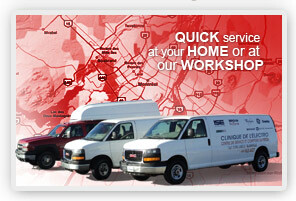 With our four service trucks with a huge inventory, we can always ensure prompt service. 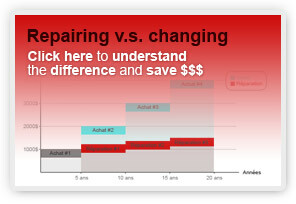 Call us at 450-963-4427 and get an appointment at a fixed time, do not waste your day waiting. 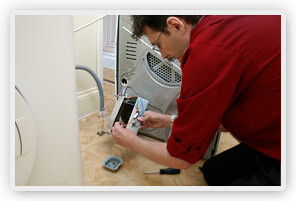 We repair most brands and most type of residential appliances. Click here to see the full list. We are authorized service agent for Greenway, Ise, Fisher Price (Power Wheels), Danby, and Braun. We are also an authorized parts depot for General Electric. © 1992- 2019 Clinique de l’électro inc. All rights reserved.